If some time ago only journalists were concerned of writing articles, today there are a lot of people who have and maintain a blog. 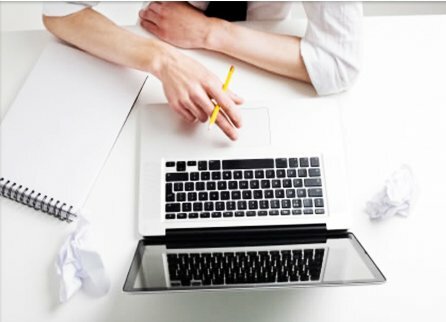 I suppose that you also have a personal blog and this is a good thing, but you need to know some elementary things how to write a successful article. Below I will present you 12 basic steps in writing a good article. People will read the articles only if they are relevant for them, namely those article that fulfill some of their needs. If your article doesn’t answer to any need of your readers, they will not read it, or maybe there is only a little number of readers that have this need, that means that so big will be the number of those who will read the article. Identify the need and this will be your relevant and best-selling article. Since you have identified the problem, this doesn’t mean that you know it sufficiently in order to touch it in an article. That’s why, begin to analyse it. Go and discuss with people who deal with this problem, read what others write, look for different documents. Use the great mass of information from Internet. Look at what people say pro and con towards the touched problem. You have to know different opinions. The Holy Scripture is the Word of God, a book totally different from any other book of this world. The Bible is called the Book of Life because through it we can find out and receive the gift of eternal life, but also through it we can fully understand life with all its problems. That’s why, look in the Bible to see how God touches this problem on the pages of the Holy Scriptures. In order to present the problem with its reasons and possible solutions, you have to collect arguments. That’s why, when you analyse the subject, make a list with all arguments that you find. If you don’t put them down on a paper, you will forget them very quickly. Sometimes, there is an argument that seems to be less useful, but when you explain the subject further, it may become extremely important. That’s why, it is important to collect in a list the arguments towards the touched problem. Sometimes people see by themselves some problems, without presenting them in the article, but for many times they don’t know what are the reasons and they want to understand them. Try hardly to identify the reasons of the problem that you touch and to present it to the readers of your article. As I said that it is not enough for people to know the problem, but they want to see the reasons also, in the same way the readers will want to find out the solutions in order to outrun the touched problem or situation. On the other part, why to touch a problem if it is not going to be solved after this aproach? So, look for possible solutions and present them. Invite and motivate the readers to participate in finding out solutions. Choose from the list of the arguments the most important ones and then look how to arrange them in a logical way, so that it will be easy for you to touch the subject and for the reader to follow and understand. Don’t neglect this step, it is very important. Since you have got the necessary information for your article and you know the order in which you will put this information, it will be very easy to write the article. Write the full article and don’t stop to details that deal with language or to correct the grammatical mistakes, etc. You will do this later. At this step it is important to let your mind expose all that it has to say. Only after you have finished to write the whole article, go to this step and edit the grammmatical mistakes and the language you use, how the sentences and phrases are made up, the words you use, etc. Be very attentive while you edit the text. Ask someone who knows better in this domain to read your article and to tell you his/her opinion. Be attentive at the opinion of those who realise the meaning of writing and the problem that you touch. Americans say that an image is worthier than ten thousand words. If you have relevant images that can contribute to the understanding of the article, use this images. A good journalist and a blogger needs to have his camera with him always and to use it maximally and eficiently. It is not eficient the journalist who prepares an article for weeks or for some for months. If it is an ample problem and you need long-termed analysis, then explain the problem in short articles, so that people may follow the consecution of the the pocess of discovering the problem. But, it is important to publish quickly, until the events are fresh. A good example for this is Oleg Cristal, who publishes on his personal blog political news and does this very qiuckly. He respects the motto of his blog: “Here you get information as quickly as the… wind!” This has to be the motto of each reporter and blogger. Look at the effect that your article have had on the readers, how it has helped them and what are their decissions after reading it. Ask yourself what you will do other way if you were to write this article again. This will help you very much to learn further to write more relevant, interesting and useful articles.